Hey friends! 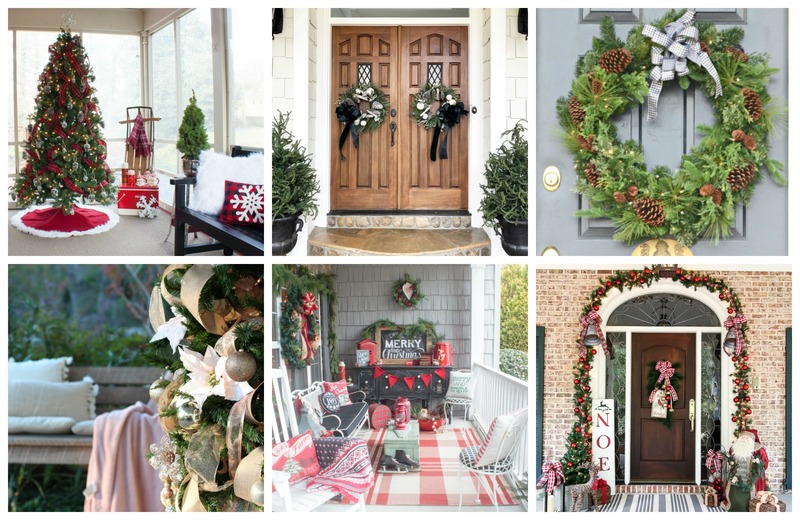 Are you looking for ideas to decorate your Christmas front porch? 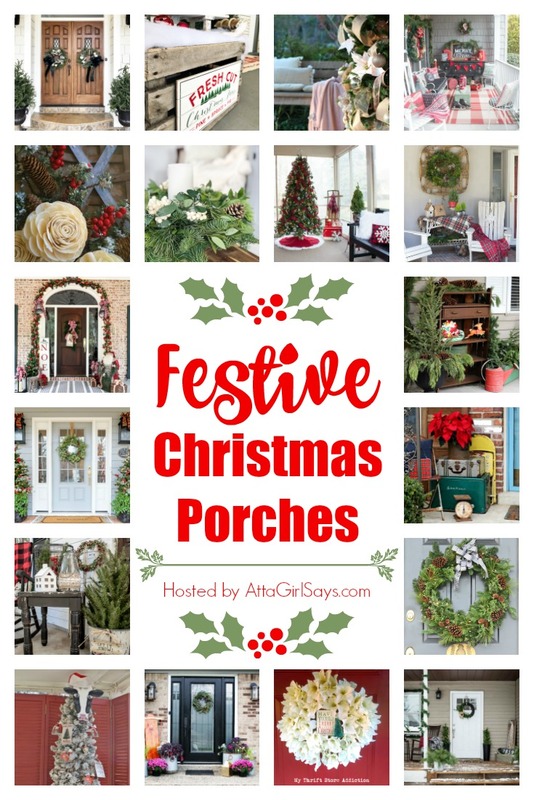 Today I'm sharing ours plus you can see porches belonging to 17 of my home blogging friends. 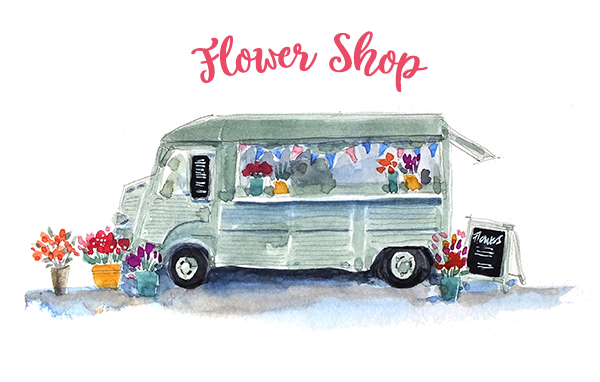 Thanks to the talented Amy at atta girl says for hosting and organizing this fun tour. The link to all of the porches are at the bottom of the post so be sure to visit everyone for great ideas. For our porch, I'm using mostly things that I already had. 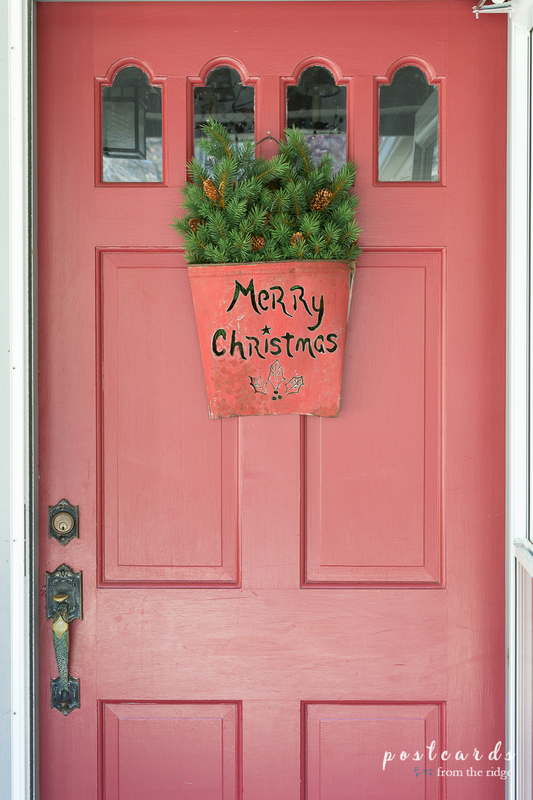 On our door, the vintage sap bucket arrangement is one that I found at an estate sale several years ago. I love the patina on it and the pine branches look so realistic. Sometimes I use a wreath but decided to change it a bit this year. Next to the door are our Adirondack chairs. I've dressed them up with a plaid throw blanket and some wooden snowflakes that I've also had for a few years. Another estate sale find is my old tobacco basket. It's a little beaten up from years of use, but that just adds to the charm in my opinion. I dressed it up with a pretty wreath that I picked up at Costco. It's just the right size. 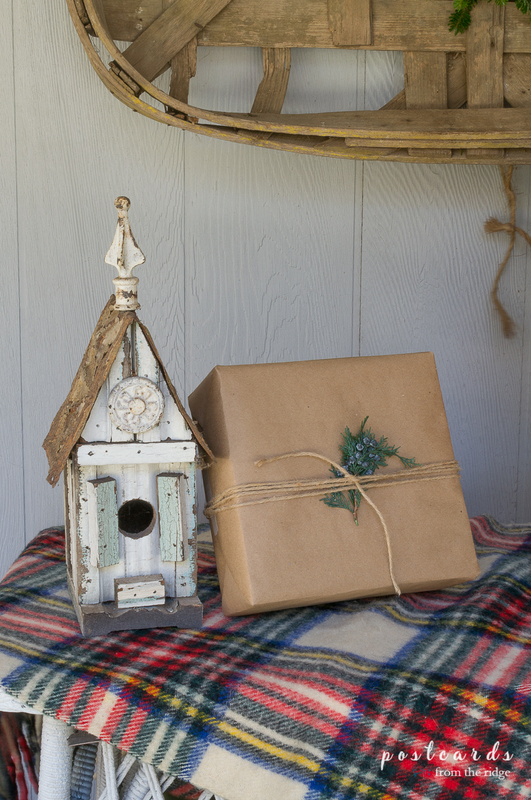 One of my favorite finds is this little church birdhouse made from recycled vintage items. The roof is part of an old tin ceiling tile and the other parts are scraps from various things. I found it at a craft fair in Nashville many years ago. I clipped some branches from our magnolia tree and tucked them into the shelf under the table. And the old wooden croquet balls were already out here but I thought the colors were fun so they got to stay out with the Christmas decor. 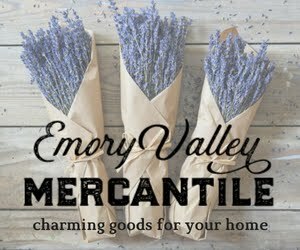 The red plaid throw blanket is from my shop, Emory Valley Mercantile. 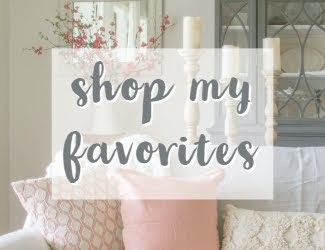 Over on the other side of the door are a few more of my favorite vintage items. 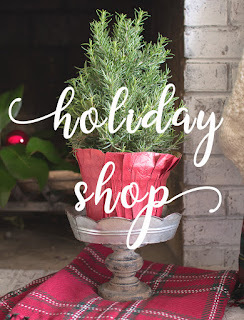 The only thing here that I bought this year is the plaid scarf and the large rosemary topiary. Everything else is from my way too big stash. But it's nice to have options when I'm decorating. Know what I mean? There's a bit of a gardening theme inside my dad's refurbished old red wagon. Which is kind of ironic since I really don't care for gardening at all. It's hot with 90+% humidity in the summer here in Tennessee. And I don't love being out in it at all. 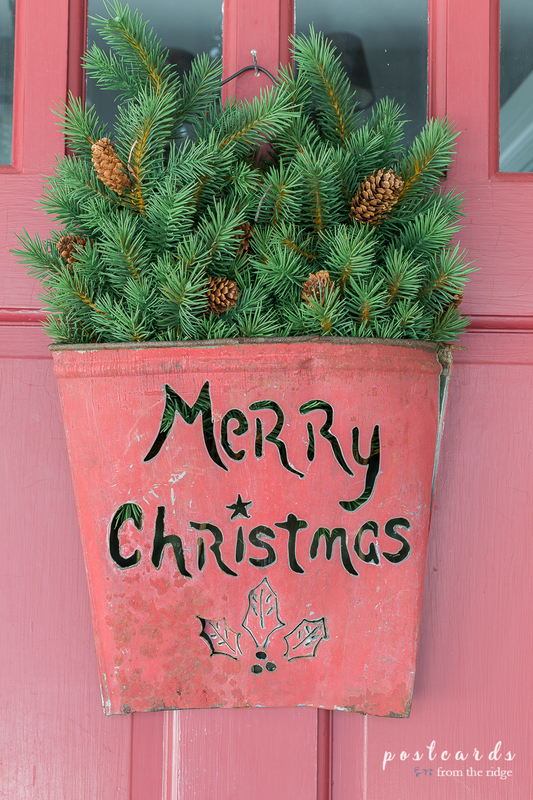 Anyway....the old watering can and vintage olive basket add some patina to the porch. And the old sled adds a nice Christmas-y touch. I found the old green hand garden fork at a recent local sale and wish I had gotten the other pieces while I was there. It kinda looks like a claw, doesn't it? I thought it was fun and it goes with my other rusty tools. 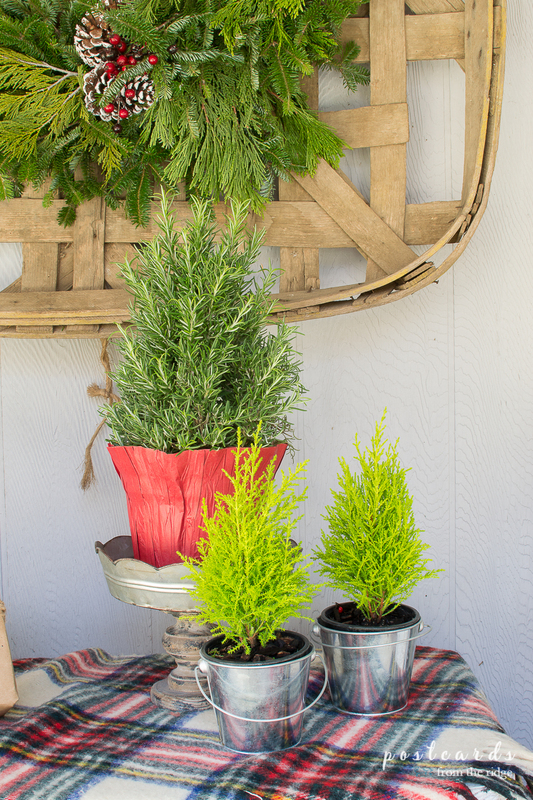 And the old ironstone crock makes a great way to display the rosemary topiary. That wraps up my Christmas porch tour. Next week I'll be sharing more of the inside of the house including the hutch, dining table, living room, and (hopefully) the entry. Be sure to sign up for my newsletter below and it will all be sent to your inbox when it's posted. And keep scrolling to the bottom of the post so you can see all the other porch tours. 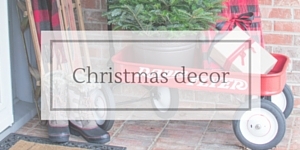 See all of my Christmas decor ideas since 2011 HERE. 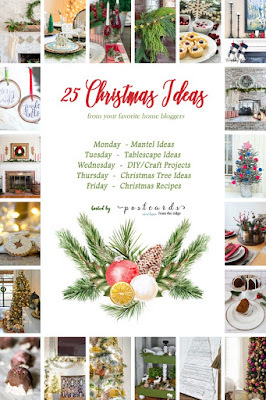 Get Christmas decorating ideas for the whole house, recipes, and DIY ideas HERE. Thank you Cecilia! The red wagon is my favorite since it was my dad's when he was a little boy in the 1940's. He's shared stories about riding in it so I know it was special to him too. Your porch is absolutely charming Angie!! I have a stash that's much too big too, but it's fun to 'shop' from home! I nearly bought that wreath from Costco, it's beautiful and an amazing deal! 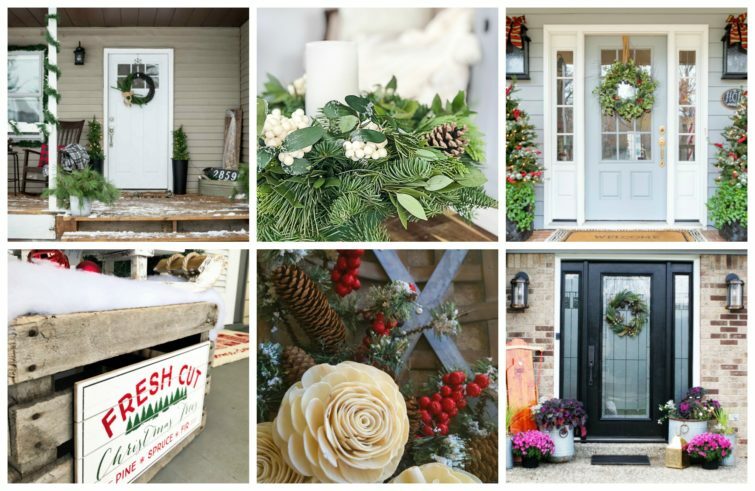 All the greens look so festive and I love your vintage touches! Blessings, friend! Aww, thank you Cindy. Shopping the house is definitely my favorite thing to do. Have a great week! Your porch looks so pretty, Angie! I loved enjoying all of your decorations. 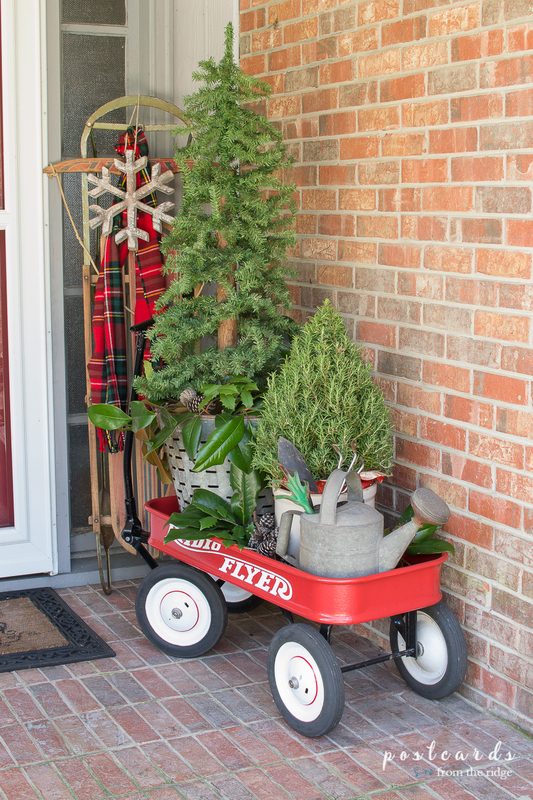 It's neat that you have your dad's red wagon to use for your decor. 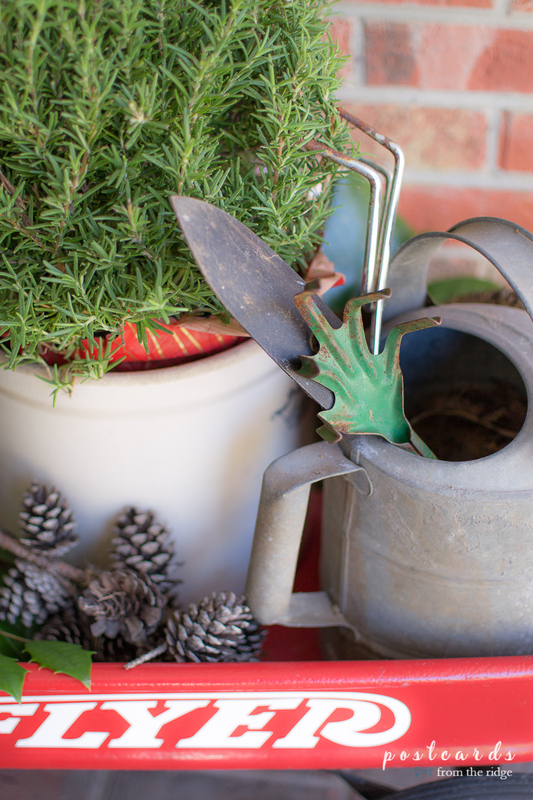 It looks so pretty filled with trees and your vintage watering can. Thanks, Paula! I love using Dad's old wagon. It just looks so Christmas-y! Have a great week. I can't decide what I like best about your porch, Angie. It's all so beautiful, and I love the stories behind each piece. Thanks for being a part of the tour again this year. Thanks Amy! I love using pieces that have a history. It makes it so much more interesting! You know I'm loving the vintage gardening claw tool, but I get what you mean about the heat during the summer. Our garden gets smaller and smaller each year because of it! 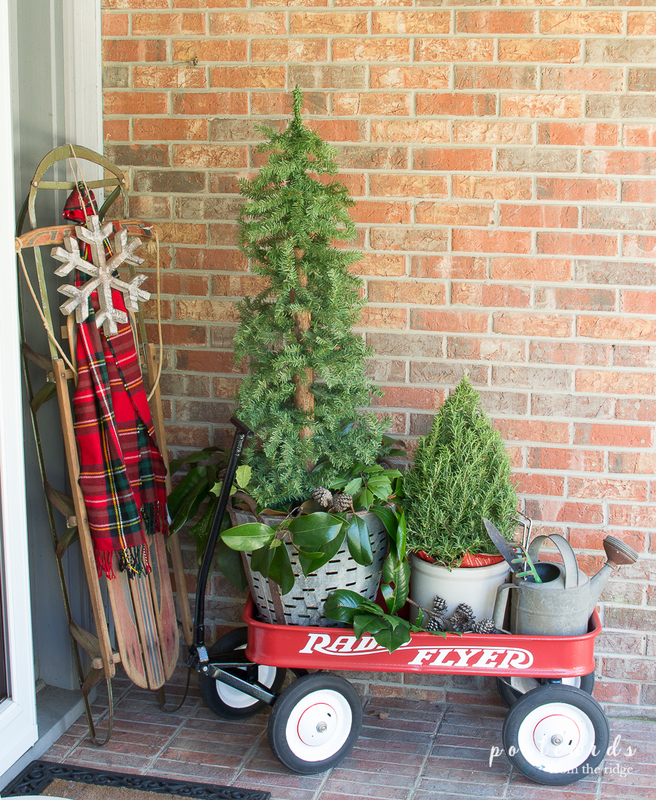 I think it's super special that you have your dad's red wagon to use on your porch! 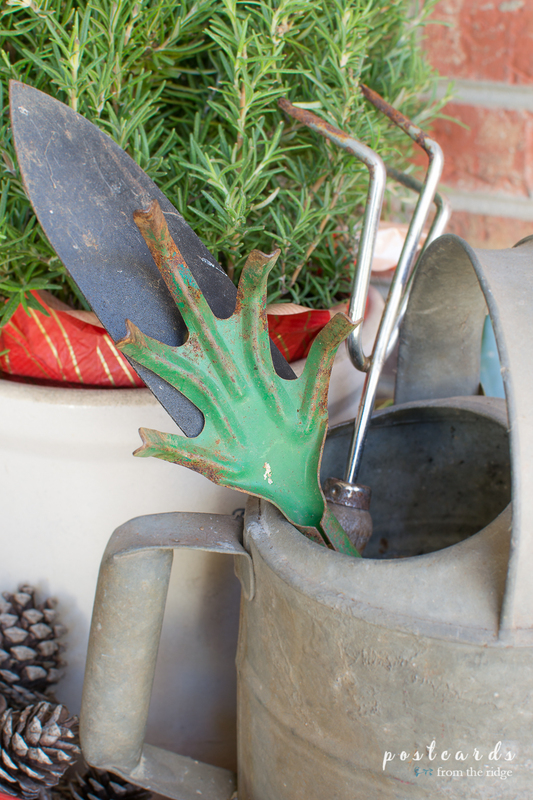 Isn't that little garden claw fun? Too bad it won't get much use besides being a decoration, lol. And I'm sure you completely understand the southern heat and humidity. Your porch is amazing! I love that old tobacco basket. And the wreath, who knew Cosco had such gorgeous wreaths! Thanks, Pam! 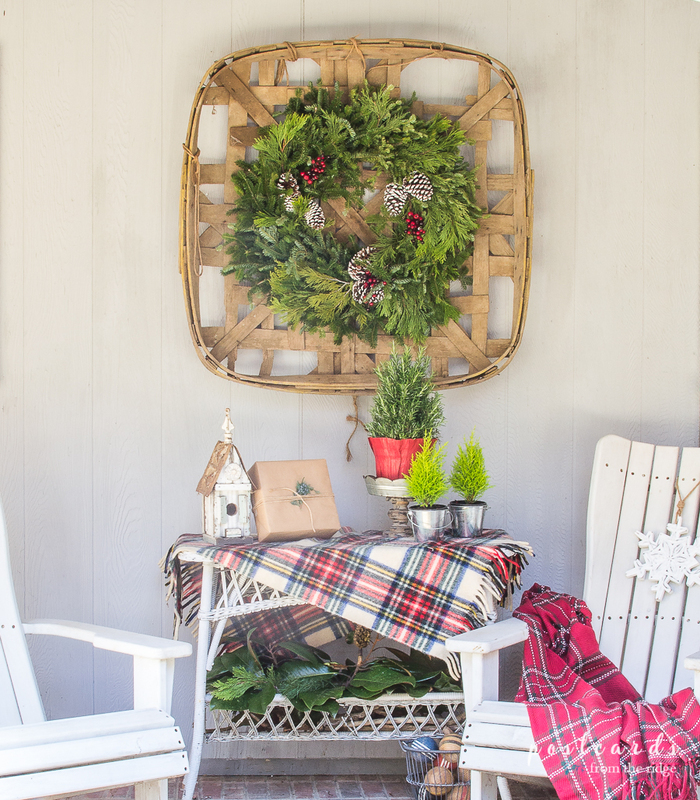 That tobacco basket is great for the porch. It's kinda dingy and dirty and I don't really want it inside the house. 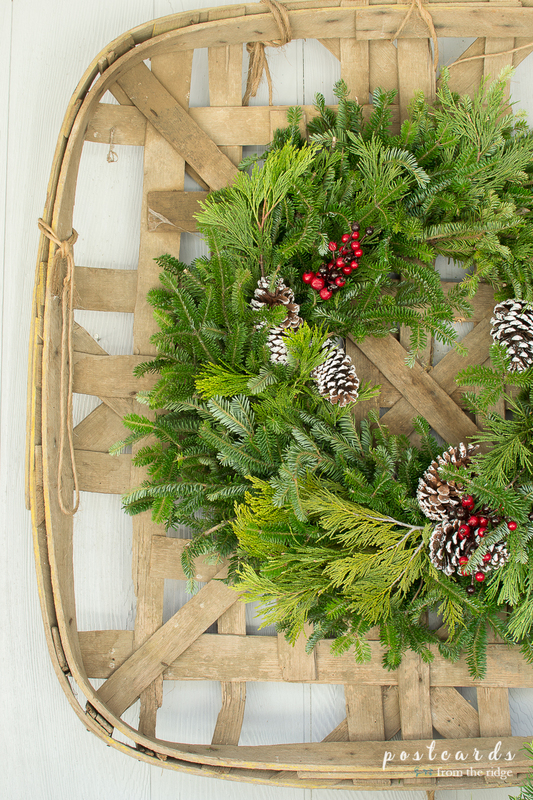 It's perfect for the Costco wreath! Have a great day. Your home is decorated with such details and stunning ideas! Your creativity is always beautiful and welcoming. Thanks for inspiring me to decorate our tiny condo porch. Thanks, Meegan! 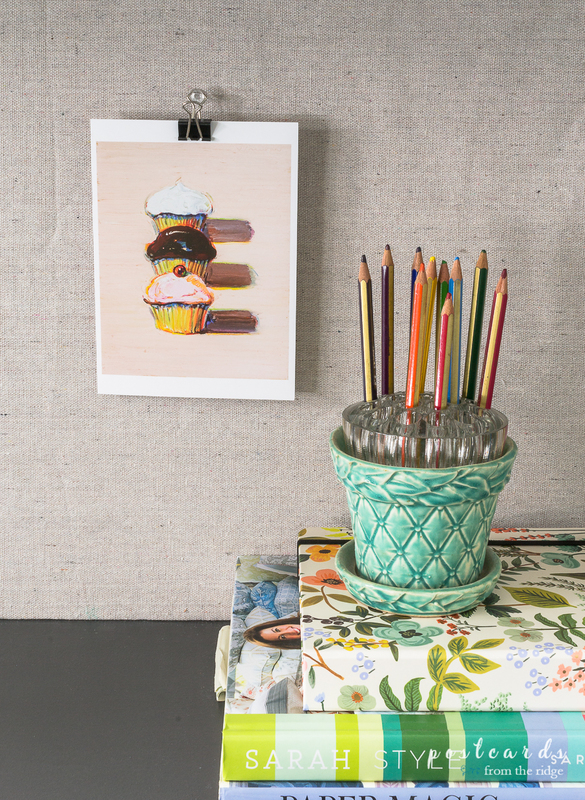 I always love seeing your decorating ideas too. Your home is so cozy and charming. I love your mix of old with new Angie. how sweet to use your dad's red flyer. how you enjoy the holiday season and that things in Tenn have cooled down a bit. Thank you so much, Laura. Dad's wagon is my favorite porch decoration all year, espcially at Christmas. Merry Christmas to you! 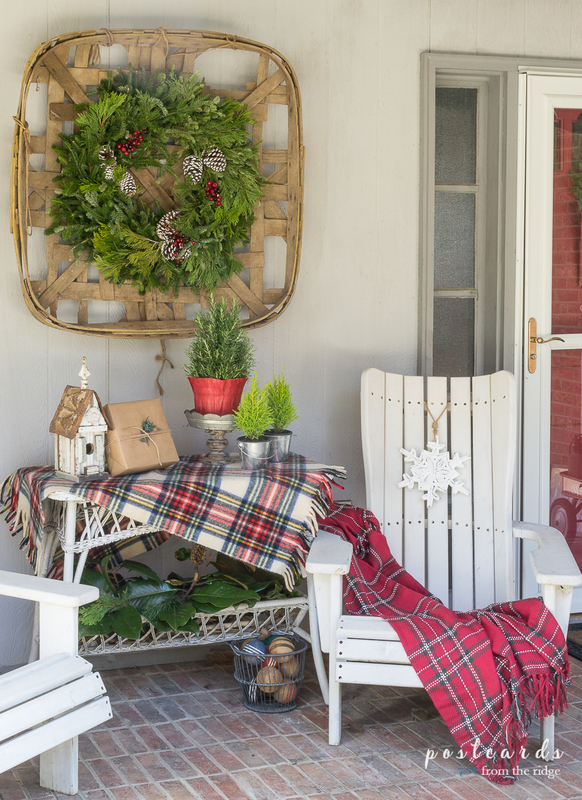 Your porch is holiday perfection! I love every detail! It was fun touring with you this week! Pinning! Thank you Lindsay! It was fun touring with you too. Merry Christmas! Angie, Every year your porch is such a joy to tour. I wish I could see it in person! The love and care with the new items to the vintage and family heirlooms is just so touching. Merry Christmas! Thank you so much, Christy. You're welcome to come visit any time! Merry Christmas to you too, sweet friend. I love the mixture of old and new! Everything looks so cozy and festive! 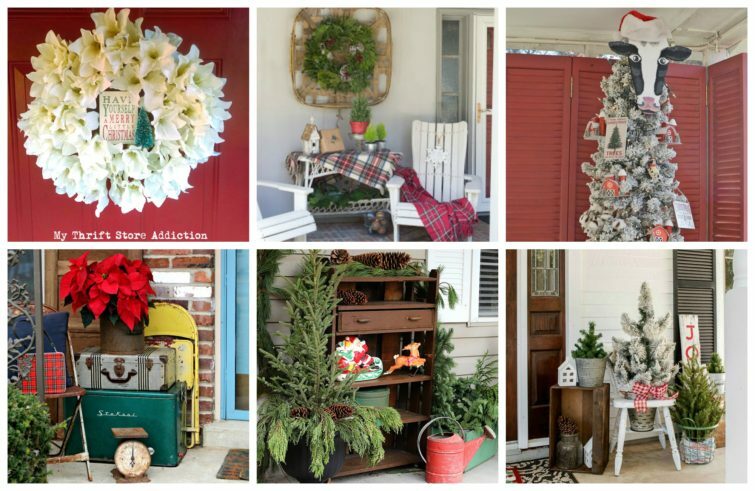 Love so much about your front porch -- especially the scarf on the sled and the wreath on the tobacco basket!